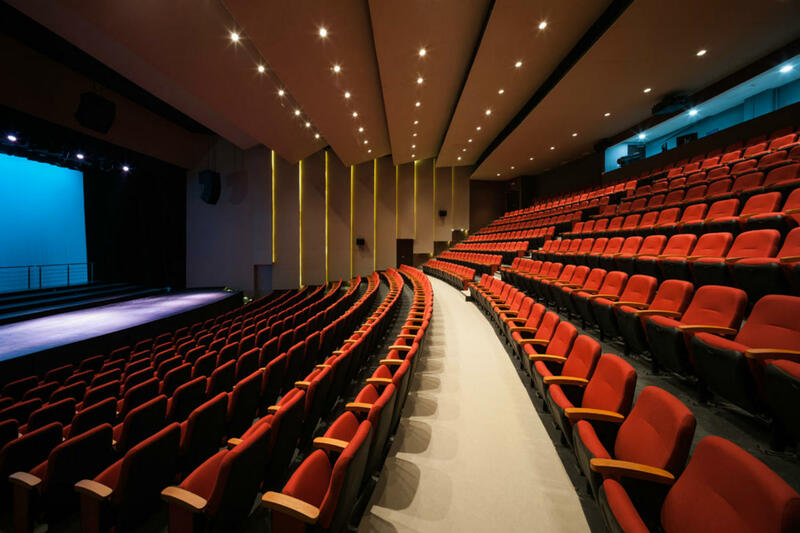 The International School of Panama’s Performing Arts Center is a ​550 seat multinational theater designed by Mallol & Mallol, which represents the most advanced and best-equipped venue of its kind in the country. Approached through a large entrance square, with separate areas designated for outdoor activities and performances, the theater was created to serve a number of diverse purposes which range from music and dance to theatrical productions, films, political speeches and (having been funded by Proctor & Gamble), corporate meetings and presentations. 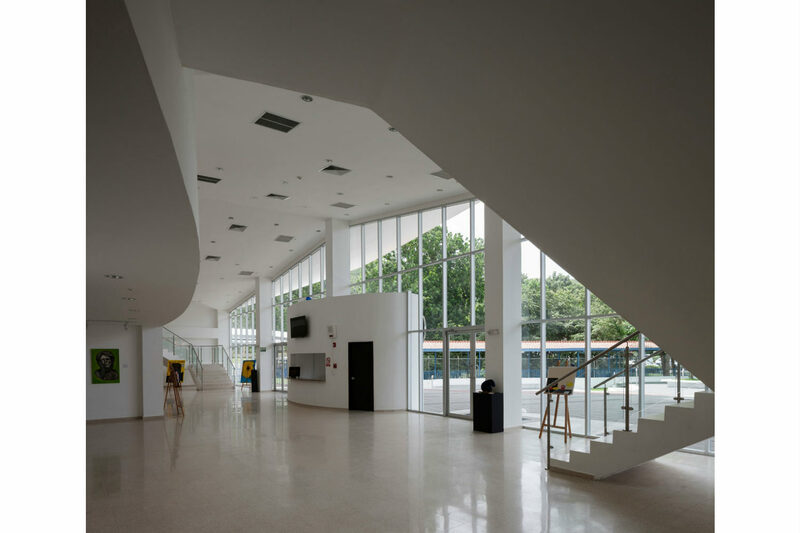 All back-of-house facilities are accessible through a central corridor, connecting the various classrooms with the rehearsal rooms, dressing rooms, storage, and loading areas. An internal loading dock provides direct access to the stage. The classrooms are fully equipped for the school’s extensive art program. 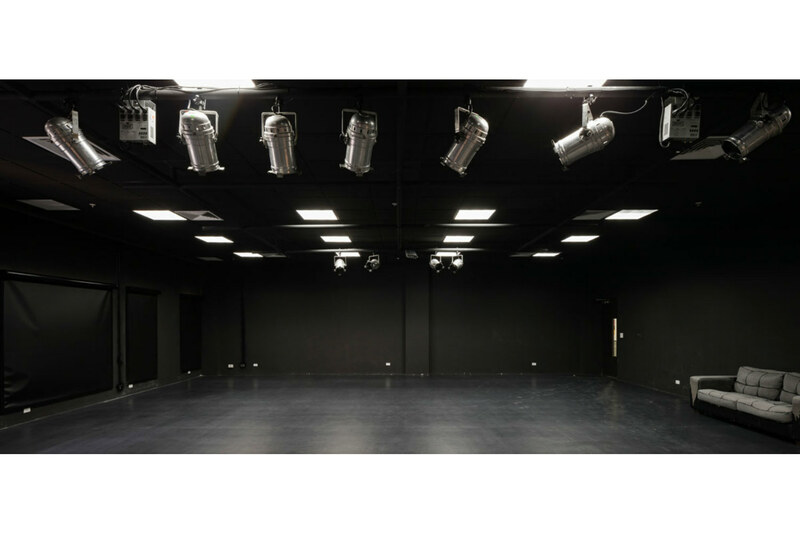 Soundproof rehearsal rooms, a music room, a black room, theater room, multinational art room and a green room which also functions as a lounge during regular school hours are equally important facets of the complex. 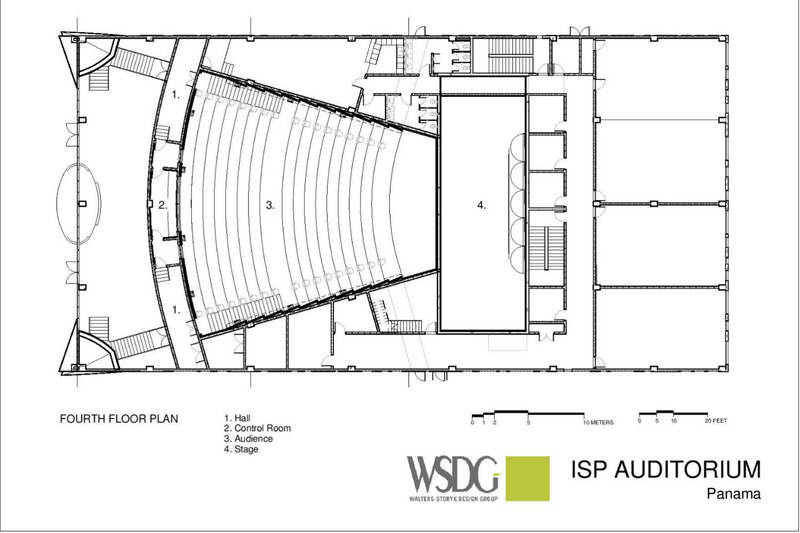 Audio, video and lighting are all coordinated from a state-of-the art control room at the rear of the theater. 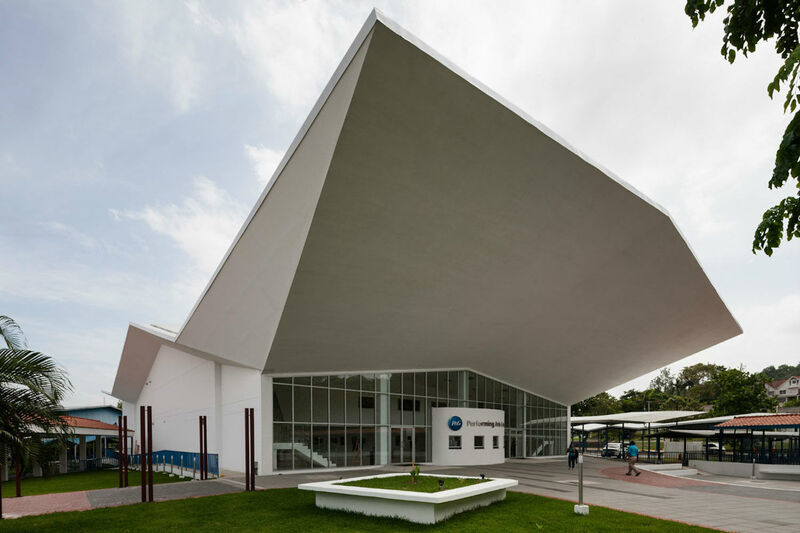 The spacious, double height lobby is crowned by large cantilevered roof. In addition to its designation as the first floor reception area it has also been designed as a well lit gallery to showcase student work. 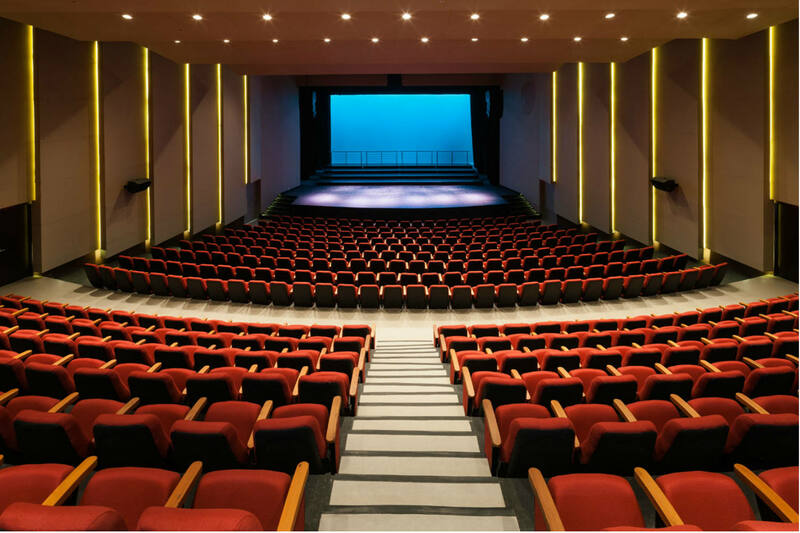 Designed as a warm, inviting auditorium the theater is distinguished by colorful, plush red seats. 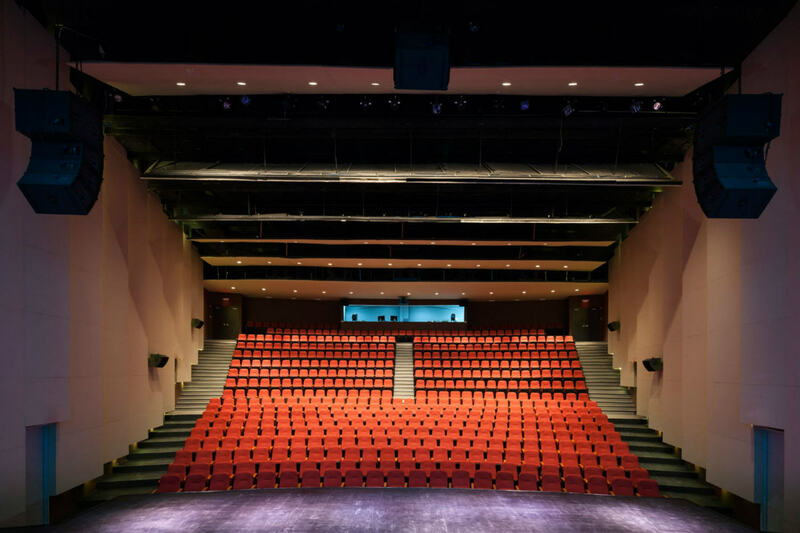 The ceiling of this ‘box-within-a-box’ theater features six suspended ‘room-wide’ horizontal acoustic ‘clouds,’ which also serve as dramatic lighting fixtures. The walls are outfitted with angled vertical acoustic paneling, and trimmed with handsome wood finishes. 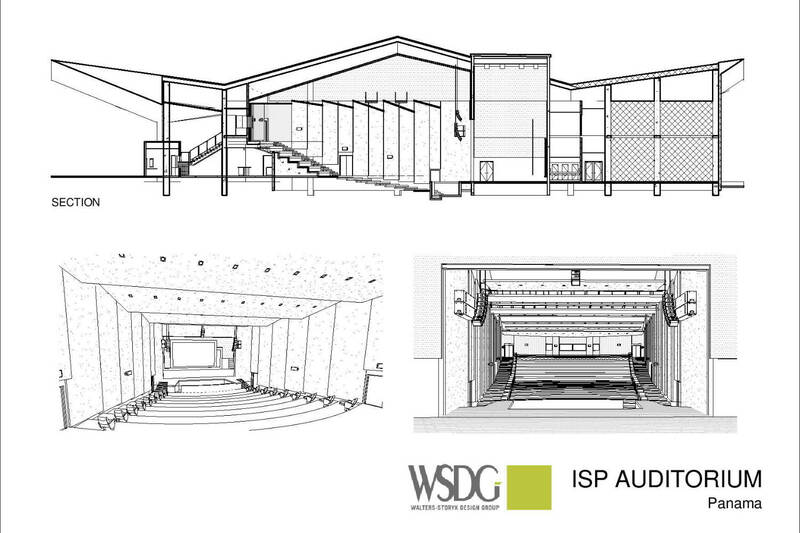 Concentrically orientated towards the stage with 2 vertical angles, the theater provides optimal viewing (and listening), from literally every seat. 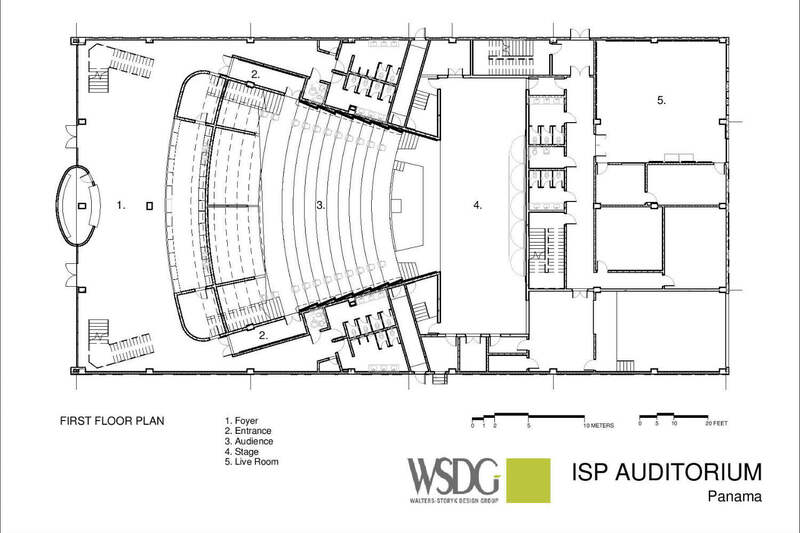 The large stage and production areas are equipped for a varied assortment of professional productions.